Charles Ortleb is the world's first newspaper publisher and editor to take the intertwined epidemics of AIDS and Chronic Fatigue Syndrome seriously. He has become the leading expert on the political relationship between Chronic Fatigue Syndrome and AIDS. His growing list of podcasts take you deep inside the dark jungle of AIDS and Chronic Fatigue Syndrome science, politics, and fraud. Click shows below to begin listening. And please come back. Here you'll find a ton of things you never knew or thought about. The Interview with Dr. Jose Montoya, one of the world's leading Chronic Fatigue Syndrome researchers. An interview with Hillary Johnson, one of the world's most important Chronic Fatigue Syndrome journalists. The mathematician who insists that the HIV story of AIDS does not add up. The "Dediscovery" of HIV: The Australian scientists who almost destroyed the AIDS paradigm and may have inadvertently found the key to the Chronic Fatigue Syndrome epidemic. A discussion of Jonathan Lyon, a man with Chronic Fatigue Syndrome whose father had AIDS. Is there a connection? Will he be a better spokesperson for CFS than Laura Hillenbrand and Jennifer Brea? How the mistakes of CDC researcher Mary Guinan helped create the Chronic Fatigue Syndrome disaster. Is Anthony Fauci the Bernie Madoff of AIDS and Chronic Fatigue Syndrome? Why are Chronic Fatigue Syndrome patients infected with the AIDS-associated Kaposi’s Sarcoma Virus? Did it come from pigs? Chronic Fatigue Syndrome and the Centers for Disease Control's HIV Ponzi scheme. Are AIDS and Chronic Fatigue Syndrome the New Tuskegee Syphilis Experiment? 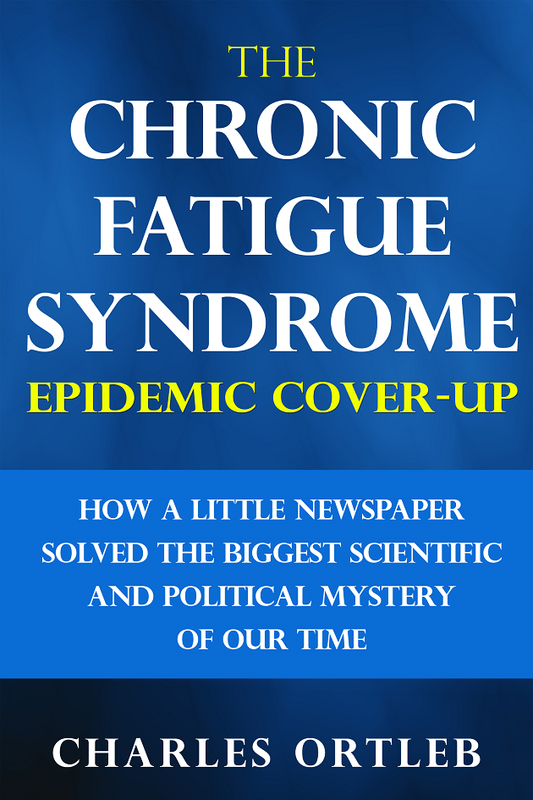 You can show your approval and support for this radio show by buying one or more of Charles Ortleb's books on the dishonest science and politics of Chronic Fatigue Syndrome, HHV-6, HIV, and AIDS. All are available in print and Kindle versions. deceit in AIDS and Chronic Fatigue Syndrome research. movement had been totally destroyed at the Stonewall Riots. The Animal Farm for a new generation. A laugh-out-loud political satire about the new totalitarianism of public health. Charles Ortleb's stunning first collection of poetry.